When Eastlakes Live by Crown Group first launched, the developer saw large numbers of young professionals and first home buyers looking to invest in these convenient and contemporary homes. Eastlake Live will be a new city centre for the next generation — it’s close to everything without the price tag that comes with inner-city living. The morning commute to work will take less than half an hour via public transport — an attractive feature as work hours have been increasing, especially for younger professionals. Reduced transit times become more important than ever. Even then, cutting travel time down isn’t enough. For many Australians, time is a commodity. 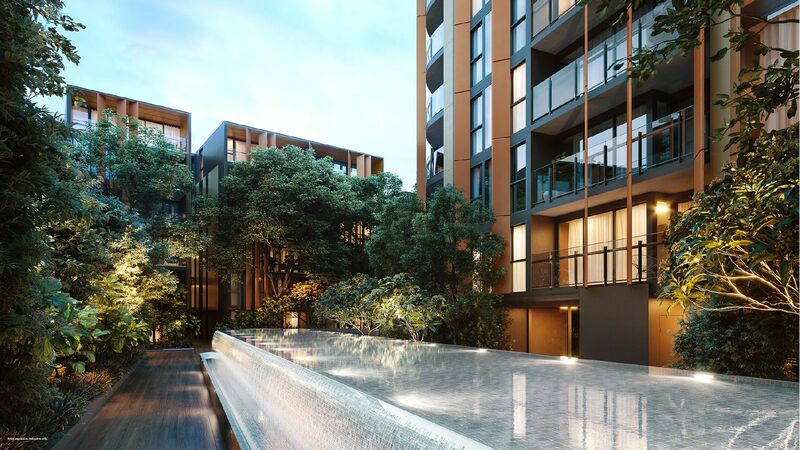 When there aren’t enough hours in the day, important aspects of life such as socialising, cleaning up or shopping can be neglected, which is why Eastlakes Live by Crown Group has been designed to cater to a busy lifestyle. Crown Group has plans to rejuvenate the town centre and incorporate retail and dining precincts in the lower levels of the new residential project. Residents of the development will find everything they need at their fingertips. From supermarkets to boutique retail outlets and modern restaurants, the only travel time will be to work and back — and to explore neighbouring suburbs and the coastline. You can spend weekends at Coogee Beach, a 10-minute drive from your home. The domestic airport is 6 minutes away, which is perfect for anyone who has to fly in and out regularly. Getting to nearby international airport at 6am for that long-awaited overseas vacation you’ve been dreaming of for years will be easy. Most of the time, you won’t have to step outside of your apartment building, unless you want to. Cancel your gym membership because you can now use the state of the art facilities on site. Swim in the outdoor heated pool, entertain your friends by hiring the function room or connect with your neighbours on the rooftop lounge — however you choose to spend your time, you will enjoy the convenience of being able to do it all from home. As with most investments, it’s important to look at the longevity of the product. When suburbs see a growth surge, it usually means there will potentially be growth in property values. The market demand for apartments in Eastlakes has grown exponentially over the last few years and, as with all suburbs experiencing a growth boom, it’s best to get in sooner rather than later. Eastlakes Live by Crown Group will be a sound investment for first home owners. From carefully crafted interiors to state of the art amenities, residents will find life at these homes is convenient, connected and affordable. Enquire here to see how you can live in these contemporary homes.